Two of Cuba's worst dictators were born in Holguin, Cuba. An uprising known as the "Revolt of the Sergeants," on September 4, 1933 Fulgencio Batista and a group of followers took over the Cuban government. General Fulgencio Batista was a Cuban military officer and politician. Batista was the de facto military leader of Cuba from 1933 to 1940 and became President of Cuba in 1940 by vote, Supported by a coalition of political parties, which included the old Cuban communist Party, he defeated his rival Ramon Grau in the first presidential election under the new Cuban constitution. While in office, Batista did somewhat succefully for himself and the people of Cuba until 1944 when he lost presidential election to Ramon Grau. 1948 while living in Daytona Beach, Florida, Batista ran for and won a seat in the Cuban Senate. Four years later, he ran for president, but polls showed he was going to lose and was still in last place. Not expected to win, Batista staged a coup. March 10, 1952, almost twenty years after the Revolt of the Sergeants, Batista took over the government once more, this time against elected Cuban president Carlos PrÃ­o SocarrÃ¡s. The coup took place three months before the upcoming elections that he was sure to lose. Also running in that election (for a different office) was a young attorney named Fidel Castro. On March 27 Batista's government was formally recognised by U.S. President Harry S. Truman. Shortly after this recognition, batista declared that, although he was completely loyal to Cuba's constitution of 1940, constitutional guarantees would have to be temporarily suspended, as well as the right to strike. Batista proclaimed a new constitutional code of 275 articles, claiming that the 'democratic and progressive essence' of the 1940 Constitution was preserved in the new law. 1952 through 1958 Batista did every thing in his powers to sell Cuba and the Cuban People. "All" of Cuba's main resources (sugar, cocoa, and tobacco) were privately owned by foriegners. Mass money was being made by foriegners, mostly U.S. politicians and Chicago mobsters, and the Cuban citizens got poorer and poorer. Much of Cuba's soil, batista practcally sold and or gave away as favors in unlawful transactions. 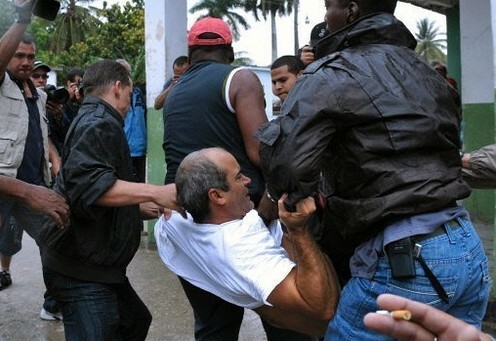 The province of Havana, capital of Cuba became a hell of criminal activities. 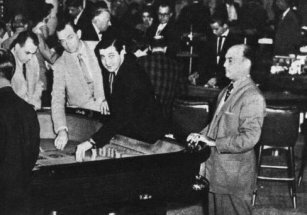 Sin city Havana was created by Batista to generate billions of dollars in co-ops with organize crime families from the U.S. ranging from dirty Washington D.C. politicians to members of the Chicago mob. Cuban citizens just got poorer. The city of Havana was a haven of daily crimes. 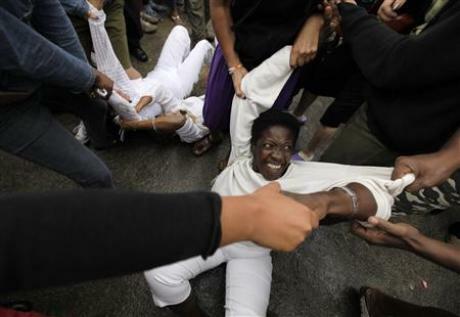 Gambling, prostitution, drugs, killings, and all types of illegal activities began a crime wave across Cuba. Cuba served as hide outs for wanted dangerous U.S. fugitives. 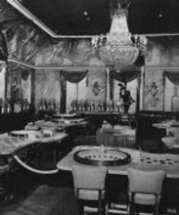 Many young Cuban girls were exploited and enslaved to prostitution for the Hotel Casinos. 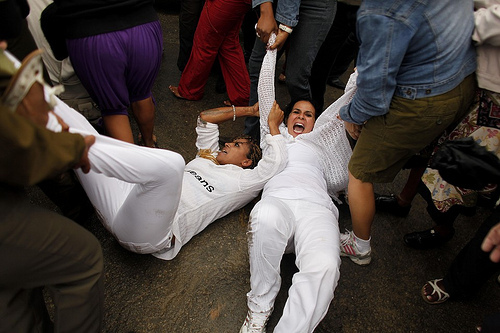 For all this havoc Batista was causing, the Cuban citizens started supporting non-commie Fidel and a Revolution. Support from the citizens is what made the Revolution possible in 1958. After staging a successful coup in 1952, Batista ran unopposed in an election in 1954, and ruled the nation until handing over power on the last day of 1958, the reason given for that event being the political unrest caused mostly by a multi-faction, mainly-student, opposition insurgency. Fidel Castro's guerrilla movement was one of the groups involved in this Cuban Revolution. Fulgencio Batista was more of a gangster to Cuba than a leader. 1933 (Sept. 4) â€“ a motley group of people come together to oppose the government; they needed some troops; Batista offers to organize the troops; Batista seizes presidential power: they occupied the main military barracks. Thus began an 11 year Batisa dictatorship. 1935 â€“ Fulgencio Batistaâ€™s power grows, he is more gangster than leader. 1944 â€“ Batista holds elections. Lansky is the go-between. The US government goes through Lansky to tell Batista to hold a free election. He did and he lost the election. 1946 â€“ Dewey pardons Luciano for what he did for the nation in WWII. Luciano promised to go to Italy, but he went to Cuba instead. He set up a house in suburban Havana. 1946 (November) â€“ Batista still advises and helps the mob, with a house just blocks away from the house of Luciano. Mob conference held at the Hotel Nacional. Among the attendees were Trafficante Jr, Joe Adonis, Frank Costello, Luciano. And tagging along was Frank Sinatra. The conference crowns Luciano as king in Cuba. 1946 Dec â€“ Batista plots his return to power in Cuba. Mafia guys get together for a conference. Sinatra entertains the top dogs. Who was going to invest in Cuba? How do we deal with problems in New York? Bugsy Siegel had fallen out of favor because he was wasting money in Las Vegas. A contract goes out for Siegel who uses Cuba as a base for the narcotics trade. 1947 (Feb) â€“ the government learns that Luciano is not in Italy, as he promised. A Cuban newspaper ran a story on Luciano. The federal narcotic agency arrested Luciano and then deported him. 1947 â€“Batista returns to Cuba. Behind the scenes he works to overthrow the government. He cancels the June 1st election. 1952 â€“ Batista returns to Cuba. He controls gambling. Cuban casinos got a reputation for cheating. 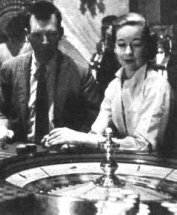 The Razzel Dazzle game was a real big scandal. 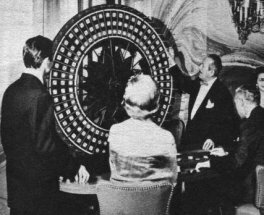 In the game they would let the customers win early, but when all their money was on the table, the customer would start losing. batista eventually closed it down. The Mafia funded airline companies to help transport narcotics. Lansky is appointed advisor on gambling reform. 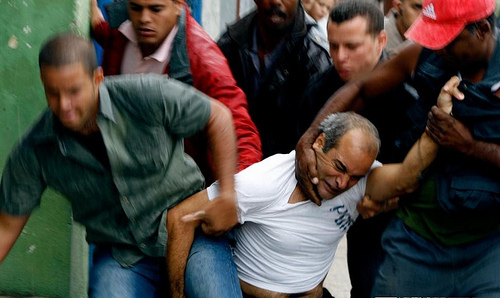 The mob now had one of their own in the Cuban government. The military and police kept the average Cubans in their places. Hollywood loved Cuba. There were beautiful women, great music, and glamour. But the people of Cuba were not sharing in all this. Batista centralized power personally. He would receive kick-backs from the casinos via the mob. Some casinos paid 10 percent, others 30 percent to Batista. 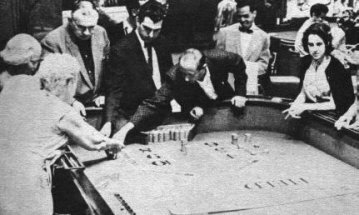 Cuba's casinos in the 1950's were generating millions of dollars into the hands of corrupted U.S. politicians, Chigago mobsters, and Fulgencio Batista's personal pockets. Nothing for the Cuban citizens. Its believed that the Lansky families owned much of Cuba from unjust and illegal transactions with Batista. Much of Cuba was sold, by Batista, to foriegn commercial interest and the Cuban citizens got poorer. March 10, 1952, Fidel Castro and other presidential candidates were "cheated" out of an "open and free election in Cuba" when Batista took over the Cuban goverment by force. 1953, Fidel led the failed attack on the Moncada Barracks, after which he was captured, tried, incarcerated and later released. In 1959, Fidel Castro "led" the revolution overthrowing Fulgencio Batista. With the support of many Cubans and anti communist rebels, Fidel Castro was able to enter Havana without firing a shot from his pistol. Fidel Castros troops called July26 Movement was supported by many many anti communist Cuban rebels which the Fidel Castro regime later betrays and murders. Fidel Castro along with his brother Raul were not fully responsible for the ousting of dictator Fulgencio Batista from Cuba. 1965, Fidel Castro "organized and appoints himself", First Secretary of the Communist Party of Cuba. Fidel Castro never allowed the Cuban people to choose or vote for their leader or president. 1976, "again", Fidel Castro appoints himself president of the Council of State, president Council of Ministers, and supreme military rank of Commander in Chief of the Cuban armed forces. Castro led the revolution overthrowing Fulgencio Batista in 1959. Shortly thereafter, Castro was sworn in as the Prime Minister of Cuba. Castro became First Secretary of the Communist Party of Cuba in 1965, and led the transformation of Cuba into a one-party socialist republic. In 1976 he became president of the Council of State as well as of the Council of Ministers. He also holds the supreme military rank of Commander in Chief of the Cuban armed forces. Castro first attracted attention in Cuban political life through nationalist critiques of Batista and the United States political and corporate influence in Cuba. He gained an ardent, but limited, following and also drew the attention of the authorities. He eventually led the failed 1953 attack on the Moncada Barracks, after which he was captured, tried, incarcerated and later released. He then travelled to Mexico to organize and train for the guerrilla invasion of Cuba that took place in December 1956. Since his assumption of power in 1959. 1996 February, Dictator Fidel and Raul Castro orders several of their soviet MIGs, from the Cuban Air Force, to shoot down two civilian cesna aircraft in international airspace. Three U.S. citizens and a resident of Florida were assassinated when their two civilian Brothers to the Rescue aircraft, on a humanitarian mission, were ambushed in international airspace by Cuban MiGs. Carlos Costa, Armando Alejandre, Jr., Mario de la Pena, and Pablo Morales were on a "Brothers To The Rescue" humanitarian flight when the Cuban communist regime ordered several of their soviet MIGs to killed them in mid sky. Brothers To The Rescue is responsible for helping and assisting over 4,500 Cuban rafters make it safe without drowning, dehydrating, or getting eaten by sharks in the Florida straits. Brothers To The Rescue have saved many many Cuban rafters that were trying to escape the brutality and oppression of the communist Castro regime in Cuba. The shootdown was ordered by communist Cuban dictator Fidel Castro. Fidel Castro and his accomplices in Cuba and the U.S. have not been criminally indicted. 1998, Fidel and Raul Castro's communist regime, sends and deploys five Cuban terrorist into the United States to infiltrate several U.S. military bases and to spy on Cuban exiles in Miami Florida. 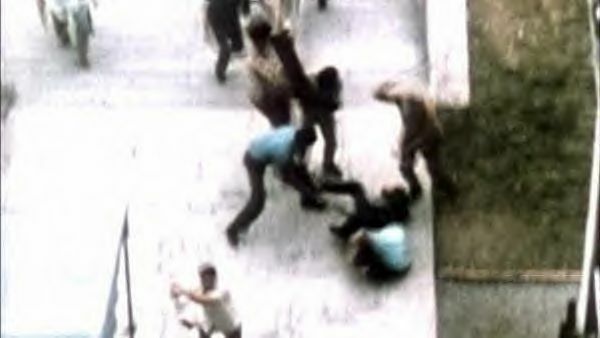 The five Cuban terrorist, also known as the Cuban 5 Five Gerardo Hernandez, Antonio Guerrero, Ramon Labanino, Fernando Gonzalez, and Rene Gonzalez are five communist Cuban intelligence officers convicted in Miami of espionage, conspiracy to commit murder, and other illegal activities in the United States. The Five communist terrorist were in the United States breaking laws, in posession of fire arms, explosives, and threatening U.S. national security. At their trial, evidence was presented that the Five terrorist infiltrated the Miami-based exile group Brothers to the Rescue. Brothers to the Rescue is responsible for saving over 4,500 Cuban rafters while escaping communist Cuba. Trial, evidence was presented that some of the communist terrorist obtained employment at the Key West Naval Air Station in order to send the Cuban government reports about the base, and had attempted to penetrate the Miami facility of U.S. Southern Command. On February 24, 1996, two of the 3 Brothers to the Rescue aircrafts were shot down by Cuban military soviet jets in international airspace while flying away from Cuban airspace, killing the four US citizens aboard. 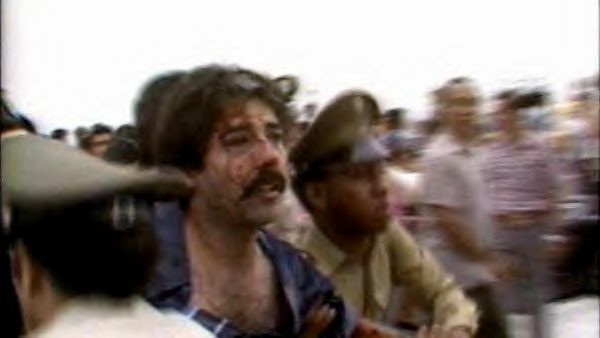 One of the Five terrorist, Gerardo HernÃ¡ndez, was convicted of conspiracy to commit murder for supplying information to the Cuban government which according to the prosecution led to the shootdown of the 2 civilian cesna aircraft operated by Brothers to the Rescue. The Five 5 terrorist, "Cuban Five", were communist Cuban intelligence officers who were part of "La Red Avispa", or Wasp Network, which the Federal Bureau of Investigation (FBI) dismantled with 10 arrests in 1998. The group of five 5 Cuban terrorist were convicted on all 26 counts in the United States District Court for the Southern District of Florida in Miami, including the charge of first-degree murder against Gerardo Hernandez the terrorist cell's leader. Communist Cuban intelligence officers are terrorist. Ring leader Gerardo Hernandez was the shot caller of the group. 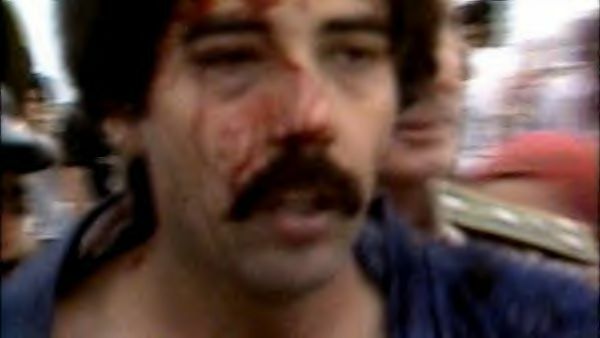 Gerardo Hernandez, the terrorist cell's leader, exchanged betraying information with the Cuban communist government regarding Brothers to the Rescue's flight plans which lead to the murderous shoot down of a small unarmed cesna airplane with a soviet MIG fighter over international waters killing four people. 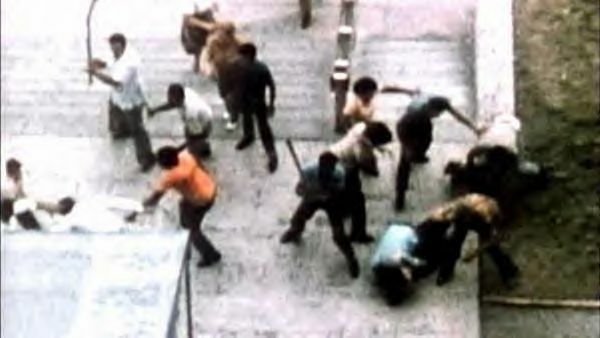 50+ YEARS WITHOUT HUMAN RIGHTS! 50+ YEARS WITHOUT A FREE ELECTION! 50+ YEARS WITHOUT A FREE PRESS! 50+ YEARS WITHOUT A RATION BOOK! 200,000 DEATHS and 2,000,000 EXILES! 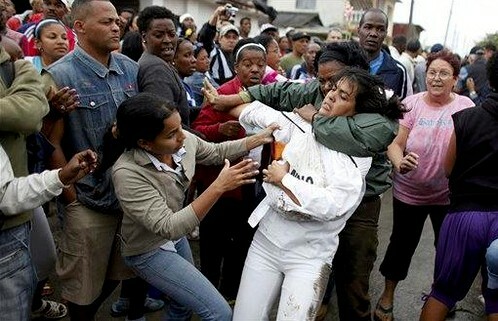 THE EXPLOTATION OF THE CUBAN WORKERS! Much of Fidel Castros murderous assassinations and killings of families was done by Che Guevara. On July 31, 2006, Fidel Castro, after undergoing intestinal surgery for diverticulitis, transferred his responsibilities to the First Vice President, his younger brother Raul Castro. On June 2, 2007, Castro appeared on Cuban Television with Vietnamese Communist Party Leader Nong Duc Manh looking somewhat healthier. 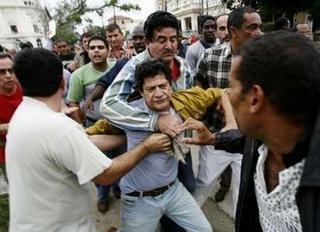 This is how Fidel and Raul Castro treat the Cuban citizens when they march or protest for better Human Rights. 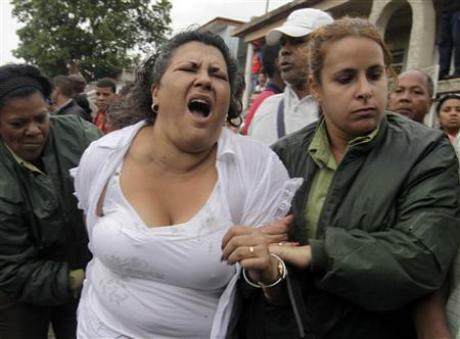 "Cuban prisons are worse than Nazi concentration camps. 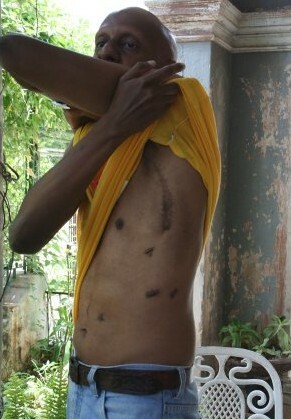 Here, there are 100,000 people, among them political prisoners, who are slowly being killed in Cuban prisons".